Innotec of WI, Inc. felt products aren't just for weather stripping anymore. Our Felt tapes can be used in a variety of surface protection applications for glass, metal and other materials that you don't want scratched or dinged. 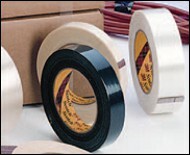 We also offer filament tapes designed for holding, securing and protecting packaged during storage and transportation. Our economical tensilized polypropylene tapes are designed for temporary holding and surface protection and reinforcing. RG15 Fiberglass reinforced, filament tape with a medium tack synthetic rubber-based adhesive 5.6 39 oz. 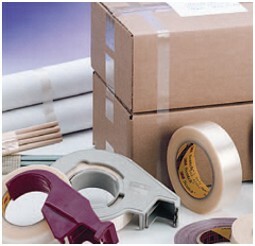 Rubber Medium tensile strength filament tape for everyday bundling, palletizing and packaging. RG300 Fiberglass reinforced, filament tape with a high tack synthetic rubber-based adhesive 4 48 oz. 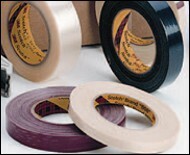 Rubber High tensile strength filament tape for everyday bundling, palletizing and packaging.